The North Carolina Department of Transportation is collecting comments on a proposed widening project in Greenville. 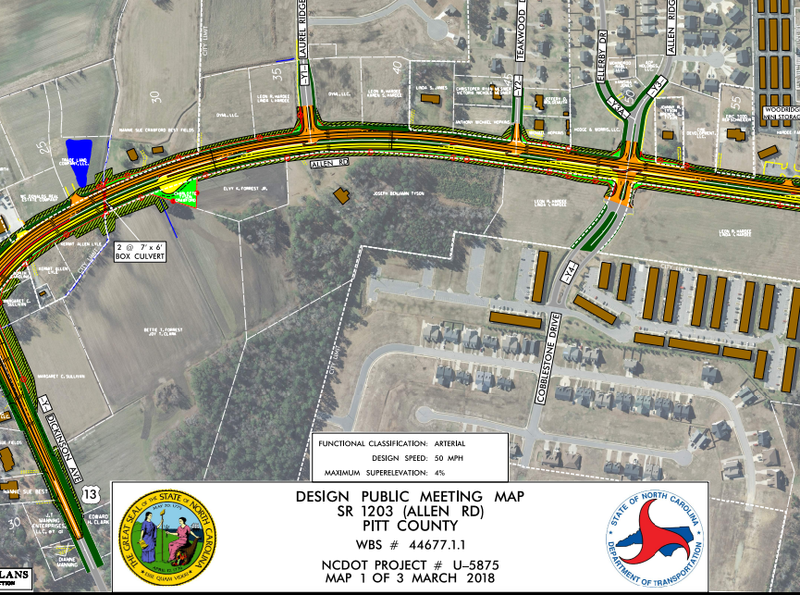 NCDOT is proposing to widen approximately 2.3 miles of Allen Road to multiple lanes between Stantonsburg Road and Dickenson Avenue Extension. The two-lane roadway is nearing its capacity and widening it will improve traffic flow and safety according to Division 2 Project Manager Betty Ann Caldwell. Two different designs were considered for the project. NCDOT selected the preferred alternative based on public comment, the Environmental Assessment and because it does not require any home relocations. Maps of the project are available on NCDOT's website. The public comment period runs through April 30th.